LONG ISLAND (WABC) -- There is currently an investigation involving Nassau County Executive Ed Mangano, and sexually explicit text messages allegedly sent from his cell phone number. Nassau County Police say they are investigating a complaint, filed by Mangano, who says he is the victim of social media impersonation. Mangano says he and a female public relations specialist from Long Island are victims of what he called 'spoofing', with lurid texts and tweets appearing to be between him and the woman. 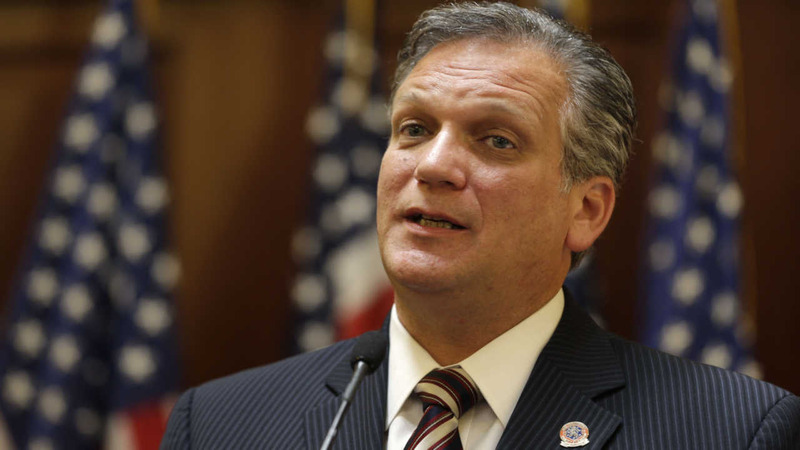 In a statement on Sunday, Mangano said, "I am outraged at this smear attempt, and will take legal action against the sick individual who has sought to assassinate my character, and hurt my family." The woman, identified by police as Karin Caro, also issued a statement saying the conversation never happened. Police say their investigation has so far failed to show any record of the alleged conversations.